This is your case, your well-being and your money; finding the right funding company is crucial. At Legal Capital Corp, we are proud to differentiate ourselves from the competition by offering pre-settlement funding for a low, flat fee instead of compounding interest. Our flat fee is capped for the life of the case and we don’t require an application fee*. If you need help with pre-settlement funding, apply now in seconds using our online application form, or call us at 312-204-7939. Pricing varies in Illinois; call us to learn more. We help injury victims from Chicago, New York and nationwide. You have a lot of options when it comes to lawsuit funding. When comparing funding companies, many of our clients really only care about finding the best price for their cash advance. That is fine with us. While there are many great reasons to choose Legal Capital Corp for your pre-settlement cash advance, our unique, low flat-fee financing rate is something we are particularly proud of. This pricing is based upon a $1,000 advance. *Disclaimer: Pricing varies in Illinois, and is compliant with Illinois state statutes. It’s just that simple. There are no upfront application fees and no compound interest. We’ve capped our fee after nine months, so you’ll never have to worry about a higher rate when your case goes longer than expected. Best of all? You have nothing to lose; we assume all of the risk. If you don’t win your case, you keep the money and owe us nothing. We know you need your settlement money to continue to heal and rebuild your life; we want you to keep as much of that money as possible. We encourage our clients to apply for the least amount of money with which they need to survive. Why Is Low, Flat-Fee Financing So Important? When you take a cash advance from a company charging interest instead of a low flat fee, you are taking a huge risk. While the monthly percentage at these other companies may seem low at first glance, remember that the interest cost increases each and every month. $1,000.00 could end up costing you $9,000.00 in interest charges in five years. Don’t take that chance! These companies can’t tell you an exact payback amount because it is constantly inflating each month as your case goes unsettled. These costs quickly multiply out of control. 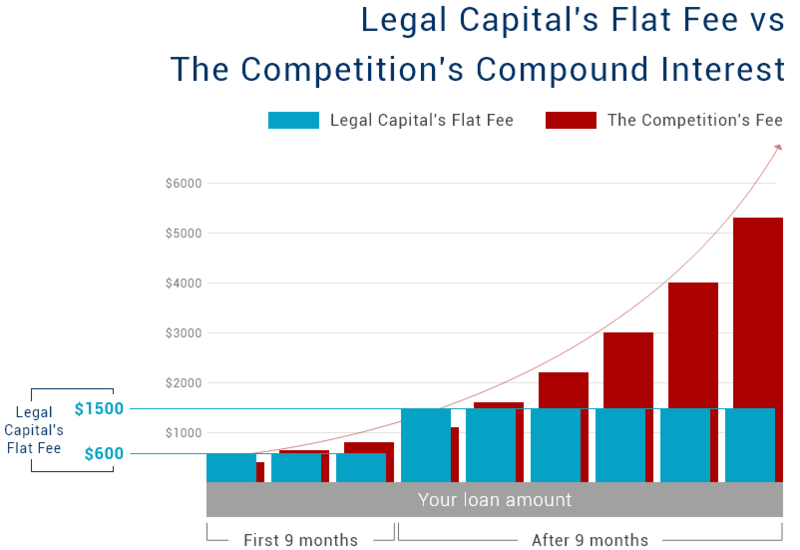 Legal Capital’s flat-fee pricing remains your safest and most affordable option. Protect yourself so you don’t arrive at settlement day to learn that interest rates for a modest advance have robbed you of a major portion of your recovery money. 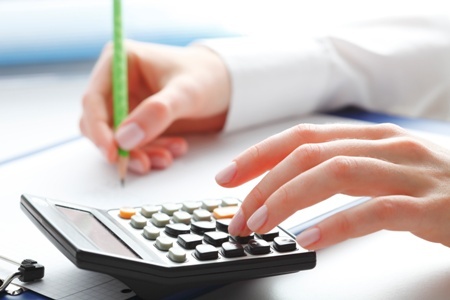 We think of it as your insurance policy against out-of-control finance charges. Compounding interest can cause your payback amount to spiral out of control, but many times, simply applying for settlement funding can cost you money. Some companies charge anywhere from $100 to $500 in application fees. When applied, these fees are typically charged when you fill out the application. Legal Capital Corp never charges application fees. The right choice of funding company can have a huge impact on your financial future and your family’s wellbeing. Don’t risk your settlement by going with the wrong company. Apply with Legal Capital Corp today by completing our convenient online application form or calling 312-204-7939. We help plaintiffs from Chicago, New York and nationwide.